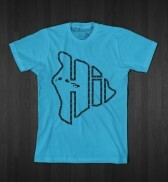 Big Island Built Surf Shop is one of the largest retailers of surf shirts, surfboards and accessories. Besides our original Big Island Brand, we stock only the best brand men's , ladies & kids clothing within the Big Island of Hawaii. We have been established since 2010 and we are Kona's largest surf shirt supplier. Since our humble beginnings we have expanded our Surf Shop business and now have two retails stores (Kailua Kona, HI & San Diego, CA) and growing a massive following for our elite custom surfwear. As our surf shop has been running for well over half a decade and we pride ourselves on the wide range of summer shirts & winter gear, we are confident we have nothing but the highest expertise to offer our customers. When it comes to Kona weather, you will be amazed by the choice we can offer i our surf shop locally or online. All the possible surfing accessories you might need from changing robes to GoPro cameras are held in stock and ready for quick delivery. If you need any help choosing a surfboard, boogieboard or clothing then please feel free to call us for helpful advice. All our staff are very experienced in terms of knowing there clothing and surfboards. Our brands fit no matter what size you are as we stock up to 3XL to fit you. Other brands that we stock include the inventors of the first suit O'Neill and the range is huge and covers all water sports. Rip Curl, Hurley, RVCA, Volcom, Quicksilver, Roxy, Neff, Famous, Nixon, Vans, Hawaiian Island Creations and Billabong are also carried. We have a huge selection in stock and we run specials online as well. Check out our shirt clearance sales online as we clear old lines mean you get an exceptional deals.